California Replacement windows and doors have been providing residents, a personal, professional and affordable windows and entry doors replacement solution since 1990. As a Milgard and Simonton Certified Dealer, we offer the top industry leading materials in replacement windows and we specialize in exceptionally built Milgard and Simonton brands. We offer Free On-Site Estimate for new and replacement windows. 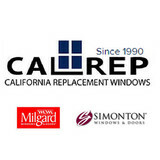 California Replacement Windows and doors offers a great variety of Milgard, Simonton and ThermaTru selection of quality windows and doors with the ability to upgrade to the most energy efficient glass that will meet or exceed today’s energy requirements. Over 100,000 Installed Jobs "We've Got Every Room Covered"
At Bede, we know how important it is to choose the right window and door manufacturer for your project. That is why we are committed to providing the highest quality vinyl window and door systems balanced with endless design and architectural options. Combining the luxury of European window and door components with extraordinary manufacturing capabilities, Bede offers a unique blend of products, perfect for residential or commercial projects. Whether it is the beauty of our folding door system, the fluid aesthetics of our curved glass windows or the ventilation options of our tilt & turn window, Bede Windows and Doors can transform any wall into a work of art. Our goal at Bede is to be a model company consisting of quality products and unmatched customer service. 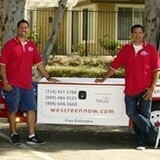 We Screen is a full-service mobile screen company that is committed to the highest quality screen products and customer satisfaction. We do all our work on site to insure the proper fit and installation. There is no job too big or small, from patio screen doors, swinging screen doors, window screens, re-screens and retractable screens. It is our goal to provide our customers the best quality products and service at a fair and competitive price. With over 10 years of experience, we have consistently provided quality service to our customers. Our clients consist of Homeowners, Property Managers and Realtors. Word-of-mouth recommendations play a large part in our success. All American Door, Inc. is your trusted source for quality window and door products and professional installation services in the Fullerton, CA area. We have been providing homeowners and commercial businesses with beautiful, energy efficient windows and doors since 1997. Whether you are looking for windows for a new construction project, or you are needing replacement doors and windows for a home renovation, our team has the experience and expertise to handle it all! We can make the home improvement process easy and efficient by guiding your choice of stunning new windows and doors to fit your needs. We will help you select the perfect products for your home or commercial project, and have certified installers who will treat your home as their own with friendly service, and expert craftsmanship. We offer a variety of replacement window options including wood, vinyl, fiberglass, and aluminum windows. Having new windows installed by All American Door, Inc. can improve the energy efficiency of your home while enhancing the curb appeal with a fresh new look. We also carry replacement doors to fit any taste and budget including sliding patio doors, moving glass wall systems, elegant French Doors, and beautiful entry doors. In addition, our product line also includes garage doors and openers/gate openers. All American Door, Inc. is partnered with the leading window and door manufacturers including Milgard, Simonton, Thermatru, Plastpro, and more! All products include manufacturer warranties and our industry standard 5-year warranty. Our rating with the Better Business Bureau (BBB) is A+. Our dedication to customer satisfaction, top-notch service, quick follow-up, and quality work has allowed us to form a long list of thrilled customers. We encourage you to read the testimonials on our website, and find us on Yelp, Facebook and other review sites. Read about the quality service we have provided your neighbors, and contact us for all your window and door needs in Orange County! Call us today at (714) 680-8999 for your free quote! The energy efficient method is based on a holistic approach to your homes energy needs. We want to insure that the entire spectrum of energy: creation, preservation, usage and storage; i.e. your windows, HVAC system, roofing, and solar as necessary, all work in harmony to keep your home running as efficiently as possible. Precision Door & Window specializes in the sales and installation of exterior and interior door and products. We have a very friendly staff, professional installation team, and choose to sell products we can stand behind. If you are building that dream home or looking to simply replace your existing windows we can help! Earthwise Windows of Los Angeles, California is known locally as Dasan Windows & Doors. 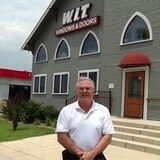 Although we began as a glass distributor, in 2007 we started manufacturing doors and windows. In 2017 we were pleased to become a Member of The Earthwise Group. We now build the Earthwise brand of quality, energy-efficient vinyl windows and patio doors. Our family-owned business is guided by two philosophies that have become our business practices. These are: 1) To provide products made with superior materials and workmanship, and 2) To offer custom fabrication and personalized services that meet or exceed customer requirements. Dasan Windows & Doors manufactures Earthwise windows and patio doors for the residential replacement market. Our Earthwise product line is sold to dealers and contractors. As with all Earthwise Group Members, Dasan builds Earthwise products for optimum performance in the climate zone we service. In addition to our customization capabilities, Dasan is ready with an in-stock program of the most common sizes, configurations, and colors, which includes the popular bronze frame. Please contact us to find the dealer nearest you. Royal Pane Windows & Doors has been working with Southern California residents since 1999. We are proud to be one of Milgard’s largest Certified dealers in Orange County. We carry a wide variety of Milgard’s Vinyl, Fiberglass, WoodClad, and Aluminum custom windows and doors. We also offer a large assortment of Wood and Fiberglass decorative entry doors. The windows and doors we offer fit all styles of homes and improve energy efficiency to help you save money, while improving the look of your home inside and out. In 1990, I was just out of high school and working for a glass company in Malibu, California. I had an opportunity to move to San Diego and partner with another North County San Diego glass company. I went to contractor's school to learn the legal aspects of the glazing industry, as I had already learned the trade, and received my Glazing Contractors License in 1993. I always loved working the trade and felt like I had found a niche. I'm not sure, unless it's a family business, that anyone starts out saying they want to be in the window business. At one time I wanted to be an aircraft pilot, but I also wanted to own a business, so I guess you could say I was always looking to the future. The replacement window business as a whole is not the kinder, gentler business that I have now. The replacement window industry, as well as other remodeling industries has gotten a bad rap in the last 5 years from high-pressure sales, long drawn out presentations, hiring telemarketers to schedule appointments, and sub-contractors doing fly-by-night work. At some point in my ten years running this business, I have tried them all. That type of window business burns people out, on both sides of the deal. But, in the end, I have realized that the best way to run my company is to go "Back to the Basics" I sell only a couple of brands that I feel are backed by a solid warranty and offer features my clients are looking for. I have the best technicians (from experience and better training) put in the replacement windows, and I sell them just like I was providing them to my mother, brother, or sister. Simple, quick, honest, easy. I do business my way, with respect for the customer. I show up on time, give a short presentation (15 minutes is long), provide a quote, and if you decide to honor me with your business, you will have replacement windows in about 3 weeks. My life is simple now. Just the way your window sale should be. My name is Carl Tippit. 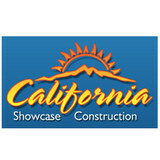 Best Window Replacement is a USA based company in San Bernadino, CA. We are the leading window replacement company in America offering state of the art home improvement solutions of all kinds. With experience of many years in the industry, we understand specific requirements of customers and how to ensure the best broken window replacement services within budget. Our craftsmen hold expertise in various aspects of Glass Replacement services. Whether it is high quality mirror replacement services, broken window repair services, or patio door replacements, we strive to achieve the best and ensure success with every project undertaken. We believe in accommodating technological advancements and introductions in the field of home improvement. Windows at Safe Glass are designed with the latest technology and using the highest quality materials, tools, and requisite equipment. Andy's Glass & Window Company located in Murrieta, CA has been serving the glass, window, and door needs of homeowners and commercial businesses since the 1970′s. As the largest contractor of glass in the area, we provide a diverse range of construction materials and installation services to meet the varied needs of our commercial and residential customers. We offer vinyl, aluminum, and woodclad/fiberglass replacement windows, entry doors, sliding doors, custom replacement doors, glass railing & windbreak systems, mirrors, shower doors, leaded glass, custom glass and so much more. From new construction to retrofit, our company has products to match your needs! Please call us today at (951) 677-7421 for a consultation! We have extensive manufacturing experience in Wood, Vinyl and Aluminum Windows and Doors. This experience allows us to help you make an informed decision on which products work the best in your particular application. This also helps us relate your needs to the manufactures in terms that they understand. All of our window and door products carry “Lifetime” warrantees on both the product and the installation. We are one of the few companies out there that has an owner on the jobsite as the work is being performed. Our technicians are courteous, professional and customer oriented.